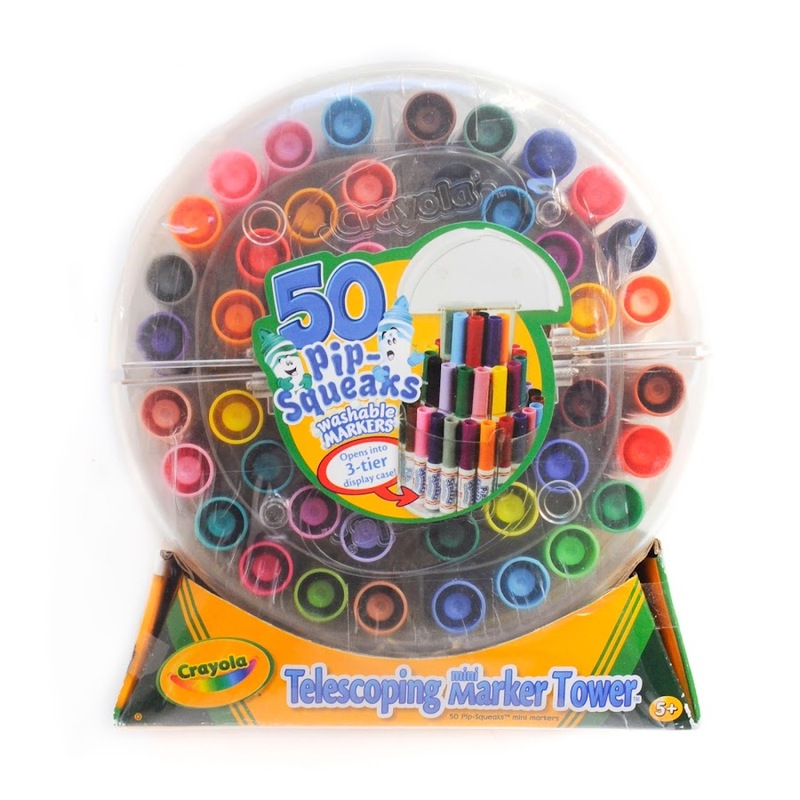 What do I think of the Crayola Telescoping Mini Marker Tower, 50 Pipsqueaks markers? 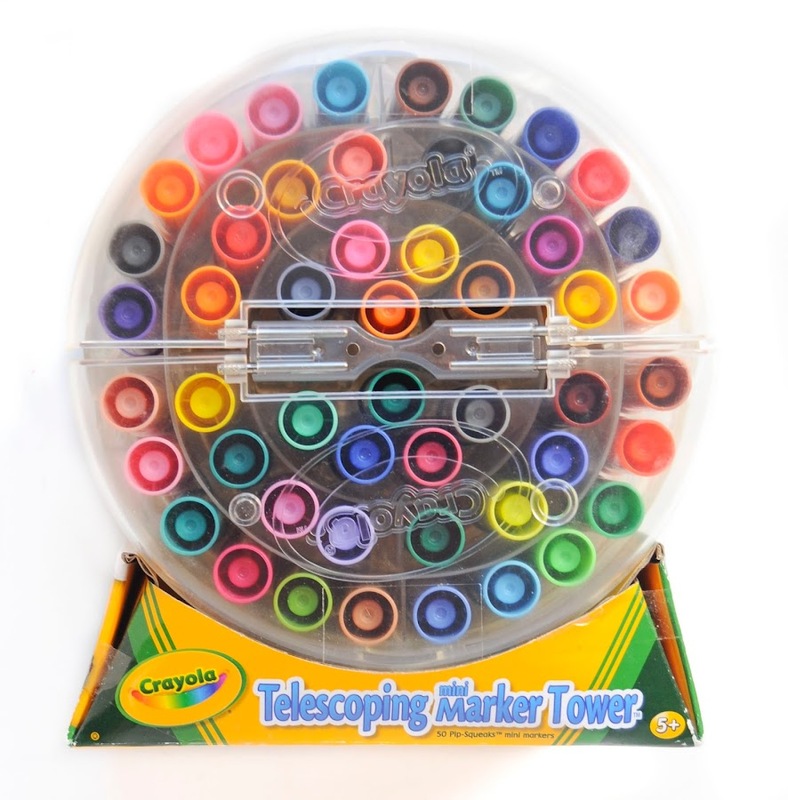 I think the markers are super fun for kids. 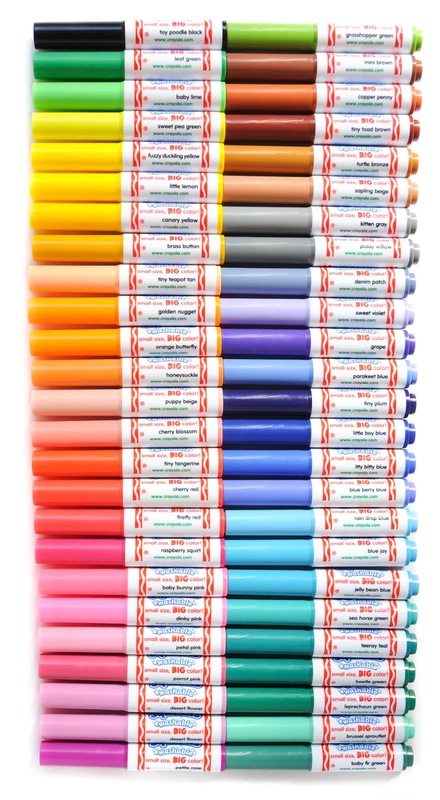 There are fifty different markers in fun named different shades. My kids absolutely love pip-squeaks. They love the names, they love how small they are. 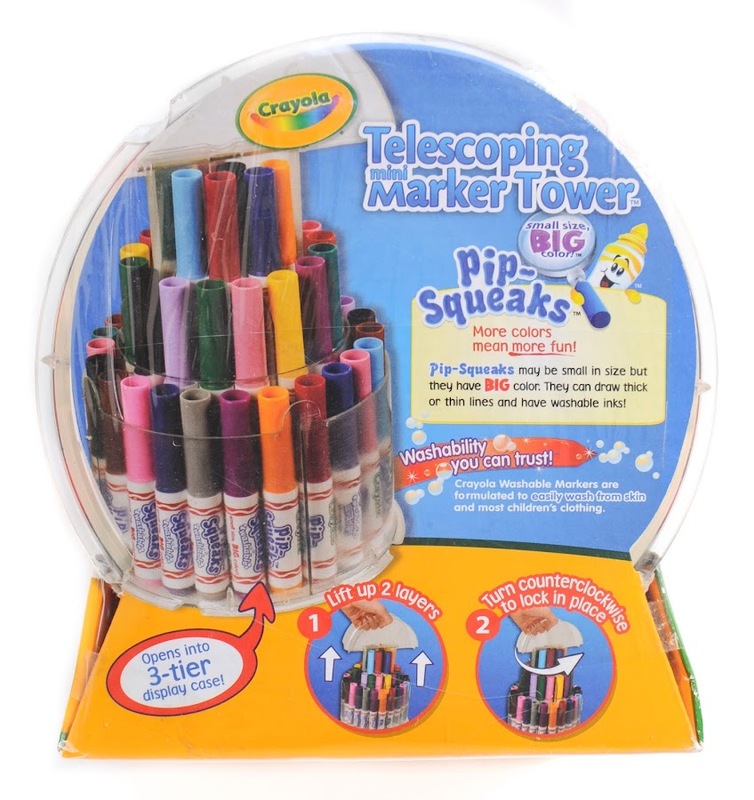 The newer versions of pip-squeak markers have a character on the side. My kids love how playful and fun they are. 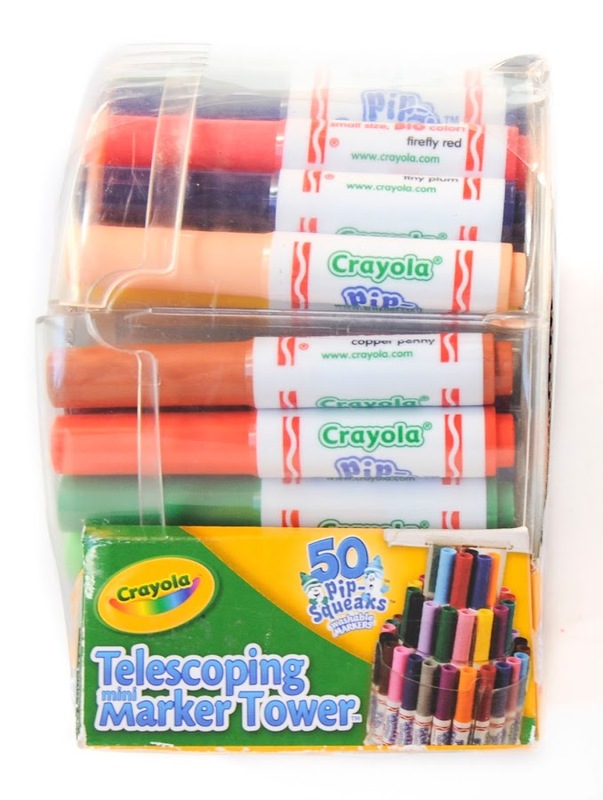 Crayola threw out their color naming rule book when naming the Pip-Squeak markers. 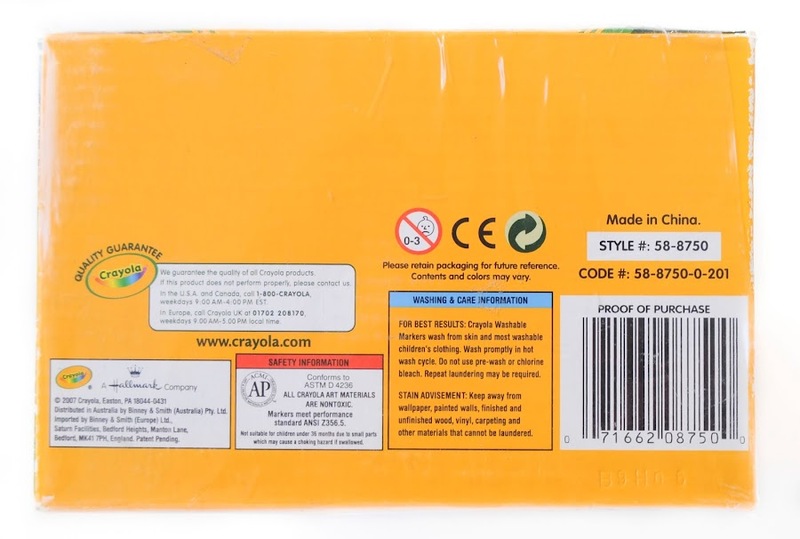 In the early days of Crayola they named colors from dictionary words. This is not so with the Pip-Squeaks, they have many fun names, copper penny, baby lime, grasshopper green etc. I had never opened this in all the years I had it, because it was wrapped in plastic. I decided to open it so I could find out what colors were inside. Other boxes: This is the first one, there is a newer one that has a different pipsqueak design.